I have been watching this technology since at least 2013 with the announcement of a public-private partnership between a company called New Energy Technologies, Inc. and the National Renewable Energy Laboratory. But as Lunt noted in 2014, these solar glass & coatings were not clear. At the time, the solar conversion efficiency of Lunt’s solar glass was not quite 1% (compared to approximately 7% for the tinted luminescent solar concentrators). Now, however, conversion efficiencies for the transparent luminescent solar concentrator is over 5%. 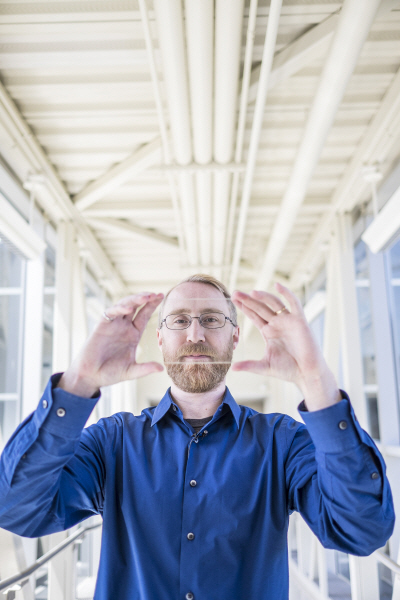 Although transparent solar technologies will never be more efficient at converting solar energy to electricity than their opaque counterparts, they can get close and offer the potential to be applied to a lot more additional surface area, he said. Right now, transparent solar technologies are only at about a third of their realistic overall potential, Lunt added. Invisible Solar Cells in Place of Window Glass? Solar panels as inexpensive and as easily applied as paint?